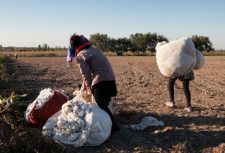 This season´s cotton harvest has recently come to an end in Uzbekistan and Turkmenistan, two Central Asian countries with oppressive regimes that employ forced labour on a massive scale to power their cotton industries. 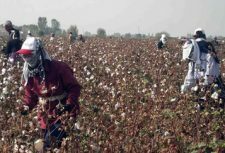 Every year, the Uzbek and Turkmen governments send into the cotton fields thousands of their citizens, including teachers, doctors and nurses, forcing them to leave their daily jobs and harvest cotton instead. Workers are forced to pick certain amount of cotton under threat of punishment. Those failing to meet the targets face harassment from the authorities and risk losing their jobs. Anti-Slavery International has been campaigning to stop these abuses for over a decade. Although the two countries are in very different places in their fight against forced labour, initial findings leave us rather disappointed with this year’s results. While Uzbekistan is not delivering as promised, Turkmenistan is currently in a much worse situation, continuing its line of oppression. Let’s take a closer look. There was a feeling of excitement when the Uzbek government finally acknowledged the existence of forced labour in the country and stated its intention to move away from this practice. Anti-Slavery International, as part of the Cotton Campaign delegation, was invited to Uzbekistan to present recommendations on how to put an end to forced labour. A major positive is that Uzbek activists, who were previously persecuted for campaigning against forced labour, are now invited to official meetings and are no longer harassed. Unfortunately, this commitment did not translate fully into practice and forced labour continues. At the initial stage of the harvest, the government paid wages to pickers, which meant that some voluntary workers were agreeing to pick cotton. However, as the season progressed, conditions of the Uzbek winter became harsher and less cotton was left in the fields to pick. This, combined with the low wages on offer, meant that very few workers were willing to continue toiling in the fields. Local authorities, under pressure from the central government to meet targets, had no choice than to fall back on old practices and force citizens out of their regular jobs into the fields. While positive, both the shift in tone from the authorities and the reforms adopted so far do not suffice. We know that moving from a system that is a legacy of Soviet times cannot happen in a year. However, we were expecting a much faster transition. Whilst Uzbekistan is at least trying to stop relying on forced labour, Turkmenistan is denying these practices even exist. Our partners Alternative Turkmenistan News (ATN) found evidence of forced labour on a big scale. From dentists, who were sent to the cotton fields, to public sector workers from state gas, water or electricity suppliers, to an estimated 49,000 teachers were sent to the fields to pick cotton. Some citizens must leave their homes for weeks to go into the fields, needing to secure their own food and sleeping arrangements. Sometimes cotton pickers have no more than bread and tea to eat. 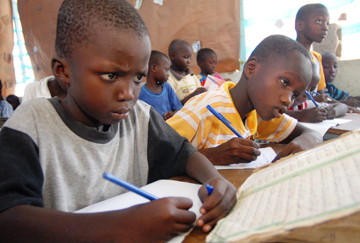 Forced labourers are often victims of accidents: heat strokes, food poisoning and snake bites are very common in the fields. During this year’s harvest, ATN reported the case of a bus crash which injured 40 kindergarten teachers being taken into the fields. Turkmenistan’s lack of willingness to even acknowledge the problem doesn’t go unnoticed. 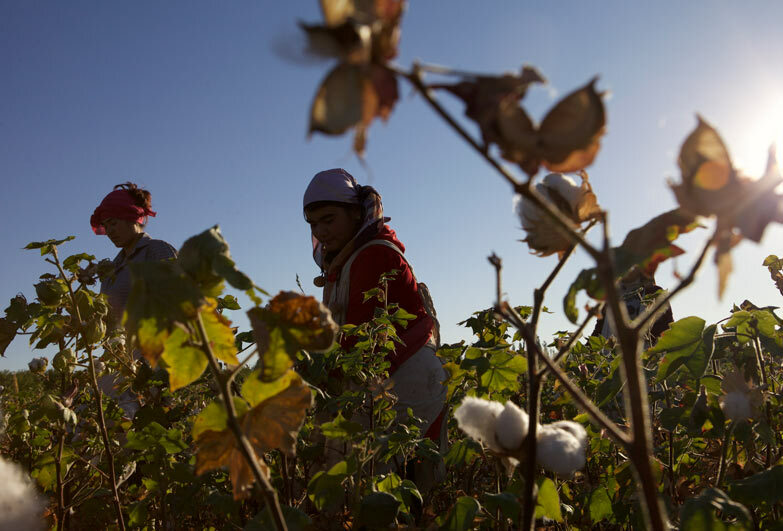 The US Department of State’s annual Trafficking in Persons Report ranks Turkmenistan in the lowest possible category and, following our Cotton Campaign coalition advocacy efforts, the US banned all imports of cotton goods from Turkmenistan. 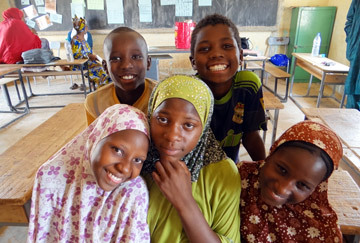 It is still early days to measure the impact of the ban, but the pressure is on. At the moment, Turkmen cotton tainted with forced labour can still find its way through global markets. One of the top 10 of the world’s largest cotton exporters, Turkmenistan has very close economic ties with Turkey, with 20% of Turkey’s imports of cotton yarn and textile coming from the country. These commodities are in turn exported worldwide and end up being sold in high street shops across the world. Times are changing though and transparency is becoming a requirement of many global supply chains. Turkish suppliers are expected to oppose to the use of government-orchestrated forced labour if they wish to continue being linked with global markets. 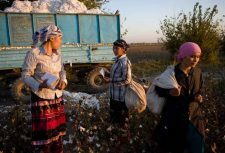 Economic pressure proved successful in pushing Uzbekistan into reforms, so global brands pledging to not use Turkmen cotton should increase pressure on Turkmenistan too. The widely signed Turkmenistan Cotton Pledge will demonstrate to the Turkmen Government that atrocious human rights violations in cotton production is unacceptable. We encourage you, the consumer, to push your favourite brands and retailers to sign The Cotton Pledge to ensure that forced labour does not find its way into products we buy every day.